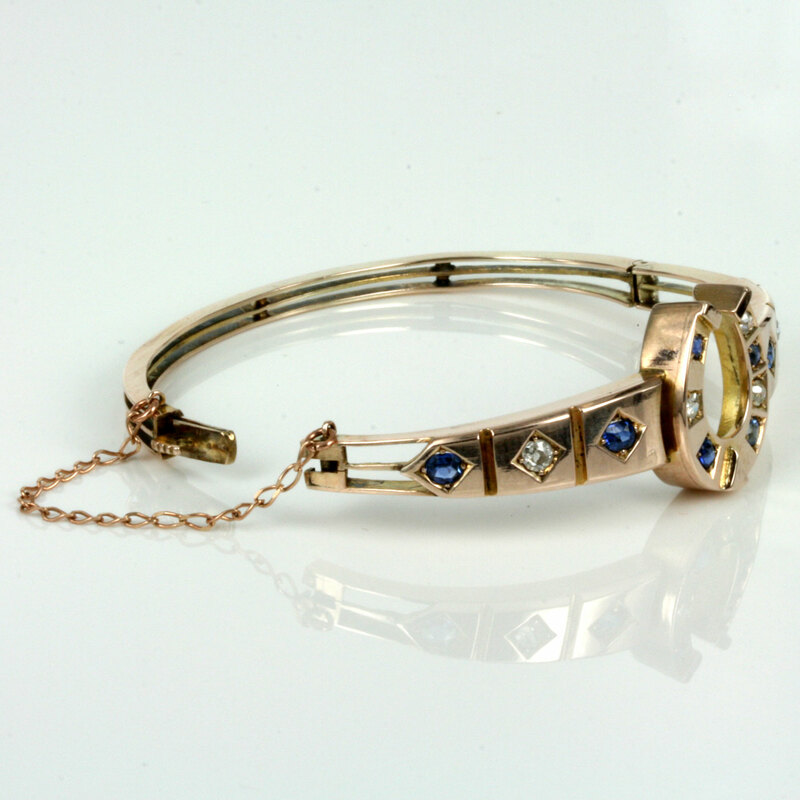 Antique horseshoe bangle with sapphires and diamonds. Product code: 1818 Categories: Sold Items, Sold Jewellery. With a horseshoe design, this Edwardian era bangle from around 1910 is so attractive and sits so well on the wrist. Made in 9ct rose gold, this bangle is hinged and sits so nice and close to the wrist. 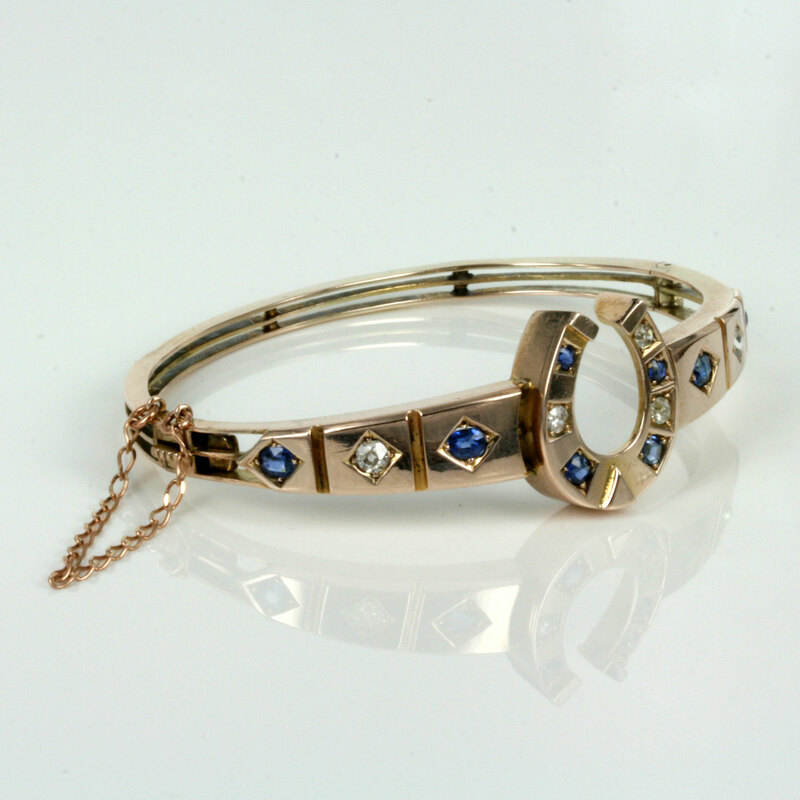 What makes this antique bangle more spectacular is that it is set with natural sapphires and diamonds giving this bangle so much more charm, character and sparkle. The 8 sapphires total an impressive 1.20 carats and the 5 European cut diamonds give this horseshoe bangle sparkle and total 0.50 carats. The horseshoe itself measures 1.6cm from left to right and 1.8cm from top to bottom. If you are after a fantastic and unique antique bangle in rose gold, then try this one on and fall in love with it as it is truly unique and special.